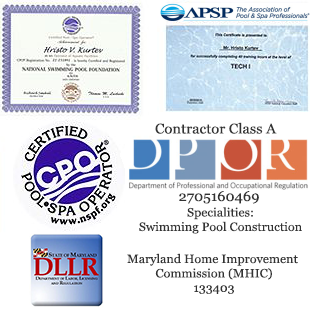 We are a swimming pool service company, operating in Virginia, Maryland and Washington DC. We specialize in pool maintenance, pool re-plastering, pool repairs, pool vinyl liner installation & replacement, pool painting, pool tile replacement, pool coping replacement, pool acid wash, pool closing and pool winterizing. Your swimming pool is a great investment in both your lifestyle and your property. Keeping it up and ready for the swimming season can be challenging and time-consuming, even in the best of times. At Subcomm Pools, we offer all of the swimming pool services that you will ever need, and we offer our professional services at very affordable rates. Subcomm Pools is qualified to offer our services to both homeowners, as well as to commercial pool accounts. Our pool services are performed by highly trained, experienced technicians who know exactly what they are doing, and have the expertise to perform all of their many tasks to outstanding levels of satisfaction. The best way to learn more about our many pool services is to spend a few minutes browsing our site. You will find that we provide all of the many tasks that swimming pool owners need. If you cannot find what you are looking for, please give us a call. We are always happy to talk with pool owners and encourage you to ask any questions that you may have about your pool or our pool services. Any pool. Any size. Any style. Dive right into your new swimming pool project with the simple and quick Lyon Financial loan. Lyon Financial has been a partner with the swimming pool and home improvement industry for over 38 years. 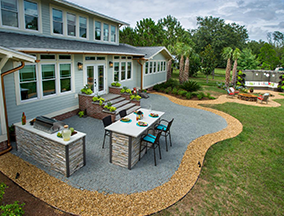 They provide access to unique financing solutions for families nationwide who are looking to create the backyard of their dreams. We are a BBB Accredited Business with A+ rating and have pledged to adhere to BBB Standards. This means that Subcomm Pool has met the accreditation standards set by the BBB for a responsibly operated business. We offer the latest products and technology presented by the best manufacturers in the swimming pool industry.